Here's where you can get yourself some authentic rendang. Remember the furore that happened when one of Malaysia’s favourite dishes made headlines when certain British MasterChef judges made less than complimentary comments about a competitor’s dish early last year? If you're still unsure what it is, rendang is a traditional Malay dish made with coconut, lemongrass, galangal, kaffir lime leaves, garlic, ginger and chilli amongst other fragrant spices. Beef and chicken are the meats of choice, and you can have with mushroom or tofu for the vegetarian version. Head to these KL restaurants for a taste of a real rendang dish. This may be a restaurant chain but if you’re looking for a quick, hearty and reasonably priced local meal in a shopping centre, you can’t go wrong with Madam Kwan’s. The rendang here is made with beef and is part of their famous Nasi Bojari, which is a dish comprising tri-coloured rice, assam prawns, a deep-fried chicken drumstick and beef rendang (not fried) – a perfect Malaysian combination. Various locations including KLCC, Bangsar Shopping Centre, Pavilion KL, Mid Valley Megamall. One of the stalwarts of the Malay fine dining scene, Bijan ('sesame' in Malay) has been open since 2003 and is known for its traditional dishes cooked the proper way. 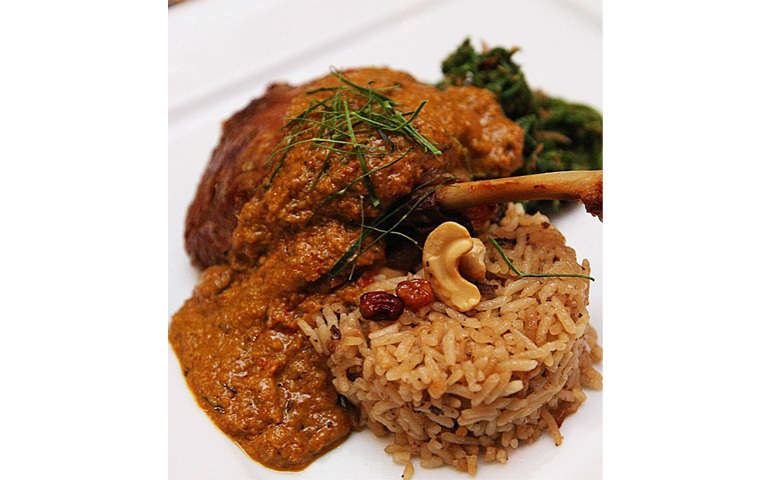 Here the Rendang Tok has beef as its main ingredient and it is slow-cooked to ensure the meat is very tender. The restaurant prides itself on using the freshest of produce, no MSG and stays true to its provincial culinary roots. Located near the Perdana Botanical Gardens (Lake Gardens), Rebung is an authentic Malay restaurant owned by one of Malaysia’s most popular celebrity chefs. Chef Ismail is a true purveyor of traditional Malay cuisine and his restaurant’s buffet spreads are a thing of spicy legend. Here you can sample both beef and chicken rendang along with a veritable smorgasbord of Malay dishes from all the different states. 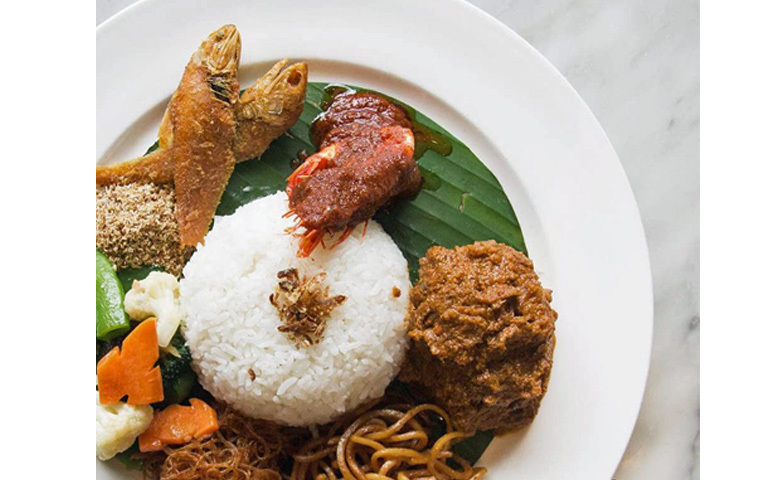 Serai is another Malaysian restaurant chain that’s known for their tasty platters which offer a sampling of the many piquant flavours that make up Malay cooking. Their Nasi Ambang platter is a great combination of tempe, vegetables, prawn sambal and a rendang made with beef tenderloin, so you can be sure it will be the tenderest rendang you’ll taste. They’ve also created an interesting fusion pasta dish – penne with a beef rendang sauce and peas – that’s well worth a try. Various locations including Pavilion KL, Paradigm Mall and Jaya Shopping Centre. While this is a restaurant that’s great for tourists and visitors, it’s by no means one of those places where the flavours are watered down and the prices inflated. This is a good Malay restaurant located within a bungalow right in the centre of the city, and it has pleasant outdoor seating and a menu encompassing popular Malay dishes from several states. Needless to say, their beef rendang is a chef’s recommendation.